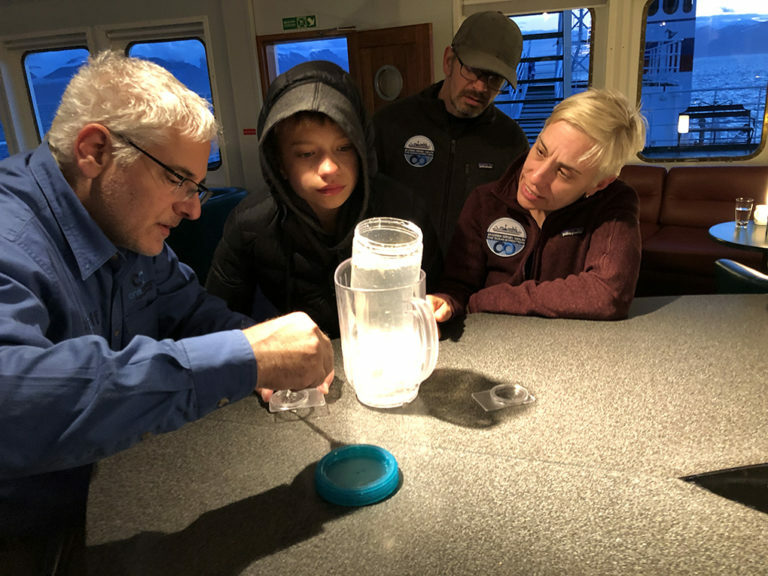 This Arctic season, Eric Solomon, Director of Arctic Programs for Ocean Wise joined us onboard our ‘Classic Northwest Passage & Greenland’ voyage to conduct microplastics sampling. Whilst onboard, we caught up with Eric to find out a little bit more about who he is, what areas he works on and what scientific research he was carrying out onboard Akademik Sergey Vavilov. Hi Eric, can you tell us a little bit about your background? I am the Director of Arctic Programs for Ocean Wise. I have a background in both Marine Ecology and Science Education. 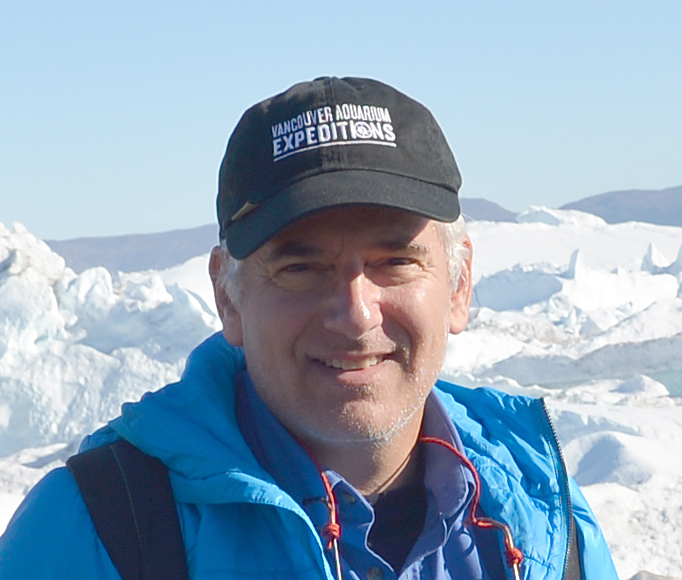 I have been communicating science and environmental issues to public audiences for much of my career and I have been focused on the Arctic for the last ten years. 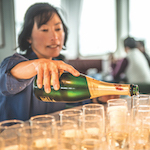 You have two quite distinct roles at Ocean Wise. What are your dual efforts in the Arctic? 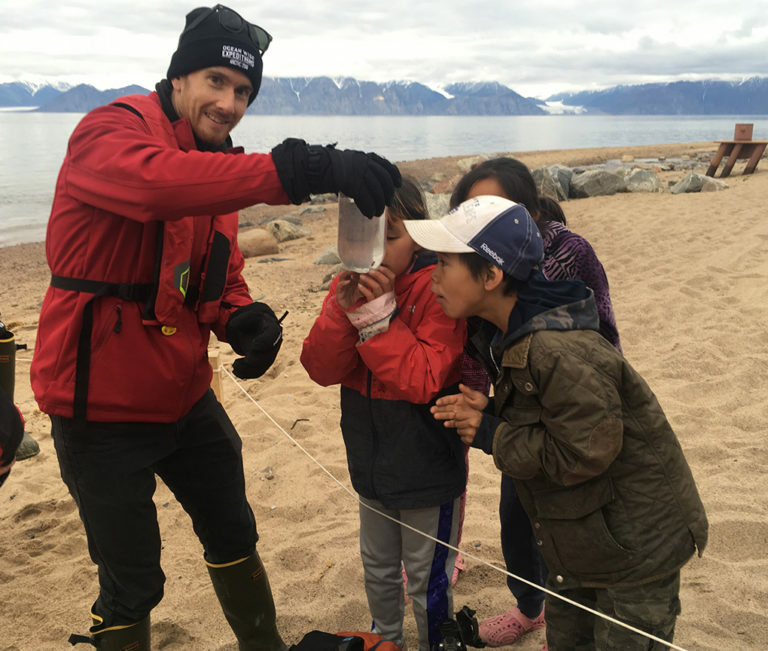 As Ocean Wise and the aquarium began to look at the role we can play in the Arctic, we realized that our strengths are both scientific research as well as public engagement. I am really fortunate because I get to work in both roles. I can be involved in a lot of different kinds of research, but also at the same time, work with northern communities and the public to help them better understand these issues. 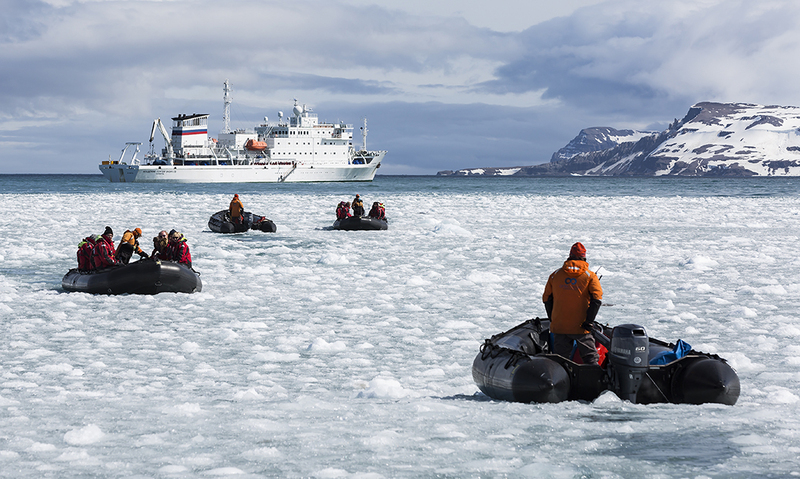 What is your role when you are onboard with One Ocean Expeditions? I work in a number of different roles onboard. I am conducting research and getting passengers involved in that research. 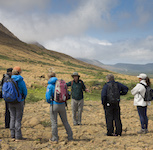 I am also acting as a guide and a naturalist, where I give lectures on board, drive Zodiacs and lead walks. I get to engage the passengers in interesting discussions about the North, northern issues, the wildlife and the people and I enjoy that. What research are you currently conducting onboard? We are sampling sea water to look for microplastics. Microplastics are a global issue – they are being found in all the oceans in the world and the question now is to what extent are microplastics an issue in the Arctic Ocean? 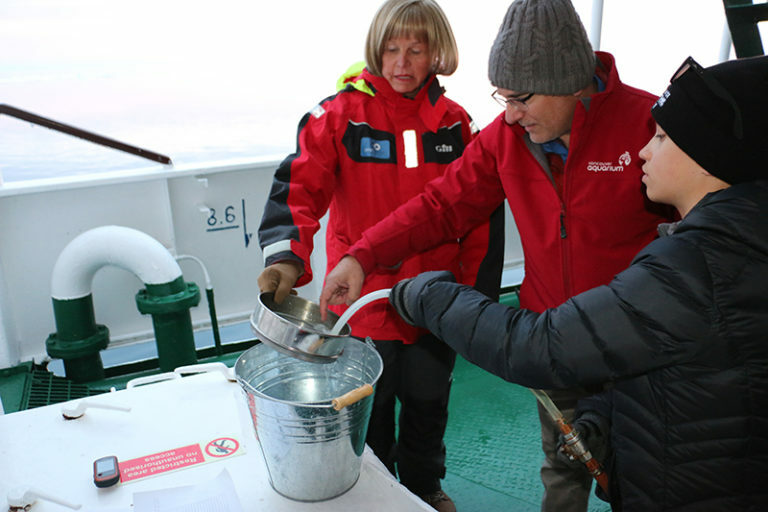 We have been sampling in the Arctic Ocean for a few years and we are just processing the various samples now. In order to search for microplastics, we collect 100 litres of seawater and run it through a 63-micron sieve that will catch any small particles or fibres. Then we send those samples back to the Ocean Wise microplastics facility where they will count, measure and determine the colour and shape of different particles and fibres. From there we then run them through a machine that can determine what kind of material they are made from. This will help us get a better understanding of the extent and nature of the microplastics. 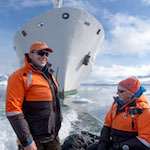 What are the advantages of doing research on a One Ocean Expeditions vessel? One Ocean Expeditions offers us an opportunity to conduct research in places and at times that we would not be able to do otherwise. Ship time is extremely expensive for research and the opportunity to come onboard the One Ocean vessels and conduct research through a large transect of the Arctic is tremendous. At the same time, we are able to engage people about the research and get them involved in the process. By helping us, they are learning about it and the issues we are trying to address, which benefits us immensely. How can guests get involved onboard? In addition to just conducting research, for example, we bring a microscope onboard and we do plankton tows. We look at our samples under the microscope to see what we can find. It is a great opportunity for the passengers and it is also a great opportunity for us to engage people in these issues because they go home and become ambassadors for these fragile regions, talking about the issues that we are interested in. I think people really enjoy it – they didn’t necessarily come expecting to be able to get their hands wet with research, but they are able to get involved in something meaningful and interesting. 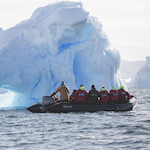 Ocean Wise has recently signed a Memorandum of Understanding (MOU) with One Ocean Expeditions. 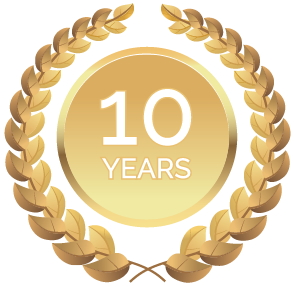 How do you envisage our partnership growing? 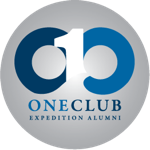 We have recently formalized our relationship with One Ocean Expeditions and have already started some new initiatives. For example, this year for the first time, we had a team of scuba divers on board a One Ocean vessel. This relationship with One Ocean Expeditions allows us to get to places that nobody has ever been diving before, to look at the biodiversity and collect samples for DNA barcoding (to look at species DNA). We are looking forward to continuing that dive program onboard the One Ocean vessels each summer and to continue our microplastics sampling. We hope to add more kinds of research projects to the program and continue to engage passengers on board and grow the relationship and initiatives even further. 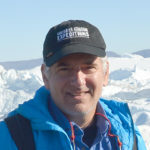 Eric Solomon is Director of Arctic Programs at Ocean Wise Conservation Association, the nonprofit organization that runs the Vancouver Aquarium among several other initiatives. He leads Ocean Wise’s Arctic research, conservation and education initiatives, and works with Arctic Indigenous communities, researchers, policy-makers, educators and the general public to improve knowledge of and dialogue on this important region. 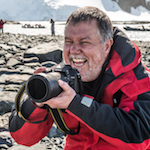 He has dedicated much of the last decade toward working with Arctic Indigenous communities and scientific researchers to facilitate co-creation of research that addresses issues of local concern. A Laureate of the Arctic Inspiration Prize, Eric was a co-creator and oversees the operation of Ikaarvik: Barriers to Bridges, a program that works with northern Indigenous youth to be the bridge between scientific research and Arctic communities. He holds a bachelor’s in Psychology, a master’s in Marine Ecology and advanced graduate studies in Science Education, none of which compares to what he has learned while working with Indigenous communities across the North.